Hong Kong Student Storage that is simple and easy! When you are a student studying in Hong Kong and away from home, the first thing that will get your attention is how small student accommodation really is, and the last thing you want to worry about is where to store all your belongings during semester, term and summer break. At GNL Storage we understand that being a student can be a little tough, and can certainly be a bit constraining in terms of space and storage, so we have developed a student storage solution that is designed to be easy on the wallet, easy on your time --- and, well just easy! So if you are student looking for Hong Kong Self Storage solutions, both long term and short term - then look no further. You can use your own suitcase, boxes, or we can deliver to your dorm room or apartment FREE packing boxes. Book a collection date and we will come to you and pick-up your belongings. With 24 hour security surveillance, temperature and humidity control and Fire and water damage insurance - you can take a break and rest knowing that your belongings are safely and securely stored. When you are ready, we will return your belongings to you. Only want 1 box back - not a problem. So why should you use GNL Storage? Simple. We make It easy! Hong Kong Self Storage is such a pain. First you have to find a self storage unit, and getting one close by is not easy in Hong Kong. There is a good chance that you will need to rent a unit that is bigger than you actually need - wasting money. Once you have your self storage unit you then need to organise your own van to get your stuff to the self storage unit. When you need your stuff back - you guessed it - you have to get your self down to that self storage unit and get your own stuff back. A waste of time, energy and money. 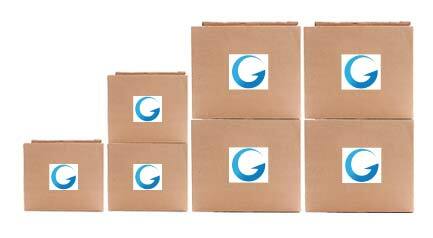 With GNL we make it easy for you. We have pricing that is designed to be easy on the budget, and we have student storage solutions that just make sense. The only thing you have to do is pack. We do the rest. You get a lot of relevant search results. See any difference? Yep - you do get a lot of storage companies popping up that are Hong Kong based. So I guess that is relevant. But is there anything that really addresses student storage needs? We thought we might try and change that. So we have introduced valet student storage packages. They are no frills, budget conscience, short term valet student storage packages. STUDENT STORAGE - Only for Students. Below is a show case of the packages that we have introduced. We would love to get feedback on what people think. Please leave us a comment and your thoughts on what students want and need in the world of storage.